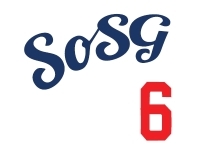 Sons of Steve Garvey: Which NL West Team Do You Root For? Make sure you fill out the mlb.com quiz, "can we guess which NL West team you root for", and see if you generate the same answer! 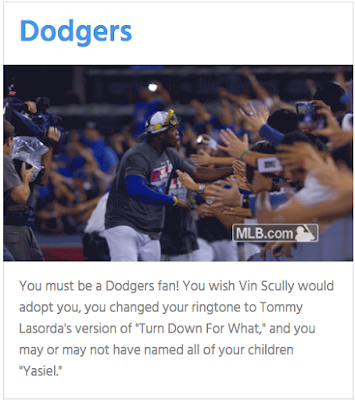 I got Dodgers fan, thank goodness! I would have had to commit ritual suicide if this dumb game didn't give me Dodgers. And my ringtone is Vin says "it's my bad dude!" Duh.